This mahogany-finish wooden keepsake box makes the perfect gift for storing jewelery, coins or watches. It features a full-color ceramic tile inlay of the Pink Floyd artwork. 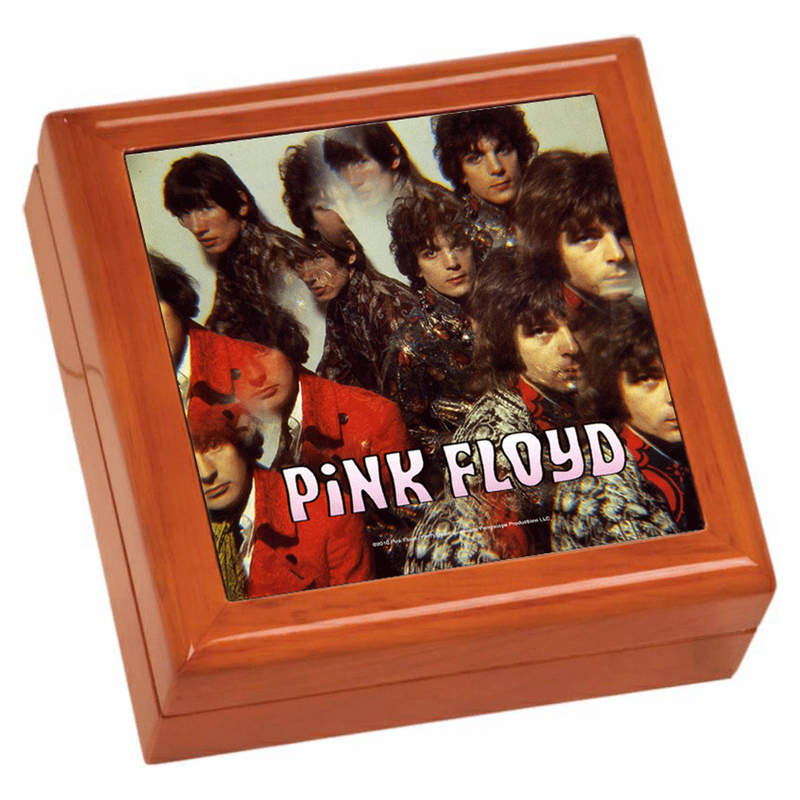 The box measures 5 1/2" x 5 1/2" x 2 1/2" and is felt-lined with a hinged lid. This is a print-on-demand item. Please allow three extra days for processing and shipment of your order.Print-on-demand items may only be returned or exchanged in the case of a damaged item.